I first went out to the Hamptons in 1996. A group of women physicians invited me to a conference out in Montauk. I was just starting my career in a hospital based practice and was eager to network. A day before the conference I called a friend to get the agenda and directions. She chuckled. “Don’t worry – we have a driver” and we are going to Gurney’s Spa in Montauk, LI for the day.” I don’t think we discussed any medicine that day but we enjoyed lunch overlooking the ocean, got mani/pedis, massages and exercised. I had no idea such a beautiful escape existed just 2.5 hours from NYC. Southampton Town is composed of the hamlets/villages of Eastport, Remsenburg, Speonk, West Hampton Dunes, Westhampton, Westhampton Beach, Quogue, East Quogue, Hampton Bays, Southampton, Water Mill,Hampton Bays, North Sea, Noyac, Tuckahoe, Shinnecock Hills a portion of Sag Harbor, Sagaponack and Bridgehampton. East Hampton Town consists of Wainscott, East Hampton, Amagansett, North West Harbor, Springs, a portion of Sag Harbor and Montauk. Each town has a government that makes and enforces local laws. Within each town, the individual incorporated villages can make and enforce ordinances with some even having their own police forces. The villages are all quaint, charming and beautiful but with their own distinctive qualities. Southampton is known for its shopping, magnificent oceanfront estates, and old money. East Hampton is the center of night life in the Hamptons and sports chic boutiques, restaurants, art galleries and is great for celebrity sightings. Bridgehampton is quiet and serene and home to horse farms, vineyards, (Madonna!) and is one of the more racially diverse villages – with a black population of 17%. Sag Harbor is home for many writers, artists and intellectuals and also boasts one of the nation’s finest black summer house enclaves. Springs is culturally vibrant with a population of Latinos, artists and laborers and has some great housing bargains. Montauk is laid back, family friendly and surfers reign! Summer is is just 5 months away. If you’re thinking about a vacation or day trip to the Hamptons, I will be posting information on the Hamptons every other week until summer arrives. Check back (or better yet, subscribe by email or RSS) for future posts on transportation tips, the best farms stands, beaches, and lodging in the Hamptons. So just between us friends, what is your favorite Hamptons village? Can you believe I’ve never been to the Hamptons? I think it’s the traffic that scares me away. If I had a helicopter I think I’d go, but the thought of hopping in the car and driving 2+ hours each weekend…ugh. Is there a “good” time to drive there? What’s the worst time? My feeling is that the traffic complaints are exaggerated. But then again I know a few back roads. The upside, you are in a car with the people you love going to some of the most beautiful beaches in the Northeast. I love the Hamptons. The first time I went to the beach this past year. I knew that is where I wanted to live. The beach is a place of tranquility and the wind and the sun wash away the millions of thoughts that clutter my mind. They also help me to get more clear on what I want to do in my business everytime I go out there. Gina – Its amazing how a little fresh air, local produce and great beach times can make everything – including business goals- a lot clearer. Hi! Great blog! I just discovered it through a Google search. If you don’t mind, I have a few questions for you. I’m a transplant living in NYC and my mom is coming up for a visit from Louisiana. She’d like to visit the Hamptons on her trip and I’m not terribly familiar at all 🙁 I’ve been out there once in the 7 years I’ve lived here and that was to a BBQ in Water Mill. Could you please advise of a budget-friendly way we can enjoy one of the nicer beaches for two days? She would love nothing more than to see a white sand beach with blue water. I went to a beach out in Queens a couple of years back but that wasn’t exactly what I thought it would be. Also, I keep reading that parking passes for nonresidents are pretty scarce. Is this true? If so, what town could we stay in and travel either by cab or bus (my mom has some physical limitations – recent knee replacement and spinal surgeries have limited her mobility a bit) that would be affordable and close enough to the beaches? I’d appreciate any advice you could provide. Thank you. Tracey – thanks for reading my blog and welcome to NYC. Okay budget friendly and Hamptons…thats a tough one:). Memorial Day-Labor Day is the peak season in the Hamptons and expect room rates to be high. Most people rent by the season or weekly. For a weekend, I would recommend the Enclave Inn (Southampton and East Hampton). Call now…they book up fast. Please check out my blog post on Hamptons Without a Beach Pass (for info on non-resident beaches). To save money, try to stay midweek. I also love Montauk, which is further out but super laid back. If you do Montauk, I can recommend Gurney’s Inn. They are on the water (no beach pass worries) have a fitness center, indoor pool and a spa. I have not stayed in their inn but can vouch for the spa and ocean beach which are great. Also, I love Sag Harbor. If you stay at the American Hotel on Main Street you will be close to lots of nice shops and restaurants. My favorite, B.Smiths is right on the harbor. Lisa – there are a good deal of parties during the summer season. A good place to look for events for single is the website Hamptons.com. They publish a weekly calendar. Dan’s paper is a free publication that you can pick up in the grocery store. Although it is chock full of ads, it also is a good way to find out about local activitis. In addition, a number of the area vineyards feature low cost wine tastings and free music. Loving your blog by the way. I’m from London. I’m coming to new York for two months next week & would love to visit. When would you say is the best time for me to visit?! Is there any tourist guides of the hamptons?? Vee – the summer months are lovely and very busy in the Hamptons. August is fantastic for beach weather and the Bridgehampton Horse Show is a great event for locals and visitors. I would recommend Jodi’s Shortcuts – The Hamptons. It is updated annually and has info on everything from shopping, restaurants, supermarkets, events and fun stuff for families. P.S. Thinking of doing this during the second week of October. Are there still fun things to do during the day? HiSaumya – You picked a great time of the year to visit the Hamptons. The crowds are gone but done worry there is still plenty to do. The first weekend in October is when the Hamptons International Film Festival is being held. Also be sure to check out some of the local vineyards which have not only wine tasting but free live music on many weekends. I own a home in Bridgehampton so I don’t have much inside scoop on accommodations but the Enclave Inn has locations in Southampton and Bridgehampton. Most of the B&Bs I believe don’t allow for kids. In the off season some homeowners offer weekend rentals. Check out vrbo.com and homeaway.com for apartments and homes that are family friendly. There are plenty of things to do in the fall. We love to go apple and pumpkin picking, visit the local museums (the Children’s Museum of the East End and South Fork Natural History Museum are our favorites). Also, regarding family-friendly villages – I would say all of them but I particularly like Sag Harbor, East Hampton and Bridgehampton which are stroller friendly for walking. We are from Argentina and we will be staying in NY for 10 days in January. I know it will be very cold, but anyways we would like to take a day trip to The Hamptons, spend the day, take a look at the surrounding and have lunch at one of the towns. Which one would you recommend for this time of the year, and just to spend the day? Thank you very much. Hi Alejandra – Yes January is particularly chilly in the Hamptons but I would recommend either Sag Harbor or East Hampton Town for a day trip. Both have quaint downtowns with nice boutiques for shopping and great shopping. If you go to East Hampton, check to see if Guild Hall has any exhibits or performances going on. Sag Harbor also has the Bay Street Theater which hosts plays, music, comedy shows etc. Hi Betty Ann – If I was doing a day trip, I would probably go to East Hampton first. Its a little touristy during the summer but would also be a nice town to sit at an outdoor cafe or tour a local bookstore. I also like Sag Harbor for strolling along the dock and for lunch at LT Burger. Beaches don’t officially open until the last week in June but that also a great place to relax! Thanks for your comment and enjoy the Hamptons. Your website is invaluable. My wife and I are planning a day trip on Sunday to the Hamptoms but we’re a little lost! We’d like to go to a beach (if there are any that allow weekend day parking), see some of the small towns/villages, have lunch somewhere near the water and perhaps do a little shopping. Any recommendations? Any beaches that I can park at for the day (weekend). Thanks! 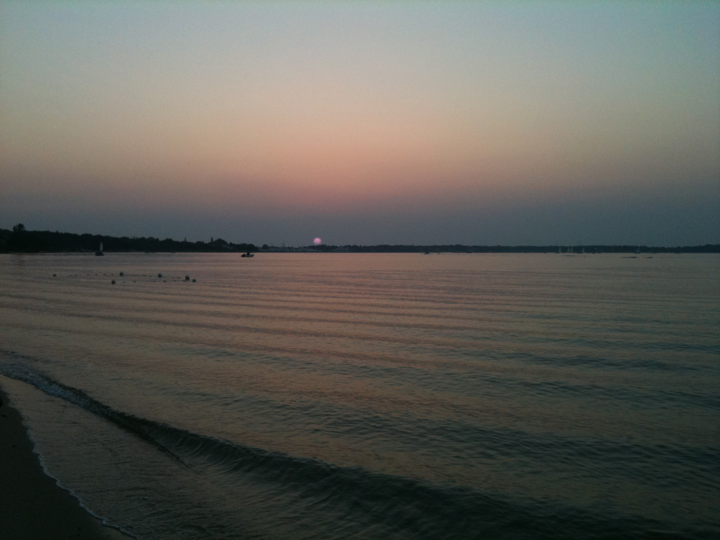 Hi Sid – For beach access, check out my post on Hamptons beaches http://wp.me/p16WY7-13y. Also, one option to to park on a residential side street and take a cab or rent a bike and go the the beach that way. If you like the Bay – try Havens Beach in Sag Harbor. For ocean lovers, Main Beach in East Hampton or Sagg Main in Sagaponack(Sagg Main does not permit non-resident parking on weekends) I would recommend driving down Route 27, the Montauk Highway. It will take you to Southampton, Water Mill, Bridgehampton. You can stop at various farm stands and get some local fruit and vegetables or shop at various boutiques. If you need to catch breakfast, try the Candy Kitchen on Main Street in Bridgehampton. Take Route 79, the Bridgehampton-Sag Harbor Turnpike into Sag Harbor. At the end of the pier is B. Smith’s restaurant. Ask for a table overlooking the water. From Sag Harbor you can take Route 114 into East Hampton – it will take you right into downtown and you will be back on Route 27. Lots of great shopping, a bookstore, movie theater and Main beach in East Hampton. I would plan on heading out early on a Sunday and leaving late to beat traffic. I hope that helps. Thanks for your comment. Finding your blog helpful re travel options from NYC. Myself and three other Aussie will be visiting the Hamptons for approximately 4 nights towards the end of June and into early July. Can you recommend a town where we will have easy access to beaches, bars and food joints without needing to have a hire car to get around, or would you recommend a car for your period there? Jay – East Hampton! But there is so much to see and do, I say splurge on the car rental. Thank you. I enjoyed this. I took my mum to Montauk for Mother’s Day. We spent it mostly in the suites on the ocean. Gurneys Inn, East Hamptons, and Sag Harbor were fun. The closest car rental was at East Hamptons airport and they open on weekdays only. The cab from montauk to east hamptons wasn’t terrible. Michael – I spent my 40th birthday at Gurney’s. Love their spa and gym. Thanks for the tip on the car rental – possibly a good blog topic. I live in Florida and I am sure that the weather there in the summer is just as wonderful as it is here. I am planning a vacation (never taken honeymoon) for my husband and I for next year 2015. It’s been 15 years since we have had time for just us. I wanted to know of a time when the crowd is less and we can really have a great time without being overwhelmed by people. Also, I know that this corney but what type of budget should we plan for to have nice a nice beach stay for approx. 1 week. Hi Bev – congratuations on your upcoming anniversary. I think September is a great time to go the Hamptons. The weather is usually quite good and the crowds are gone after Labor Day. Your biggest expense will be for accommodations. I would budget $2500-3000 for a week’s stay. They are many free or low cost things to do once you get here. I’m looking to go to the hamptons for the first time this Labor Day weekend. How do I find activities? Where is the best place (area) to stay? Hi Kimberly – Labor Day weekend is a busy time to visit the Hamptons. I would start by looking at two newspapers – both are free – Dan’s Paper and the Independent. You will find listings and advertisements for a variety of functions. The website hamptons.com also has a calendar of events. If you are in the Hamptons for a short weekend, try to stay in East Hampton – great shopping and restaurants and close to the other villages. Hi there, just wondering what areas of the Hamptons wld be best for a bachelorette party, interested in renting a beach house if possible and walking/short taxi-ing to a local town area for bars, restos and some shopping! Sorry for the delayed response. I think for a girls weekend/bachelorette party – East Hampton. For a spa weekend, I vote for Gurney’s in Montauk. 4 couples, Planning a 4 day visit, first week in Oct, prior to a cruise out of NYC, have read all your blogs and articles, and thanks, they r helpful. Early fall is a great time to be in the Hamptons. There are no tours of celebrity homes, that I know of. However, the Hamptons Film Festival is held every October and has tons of actors and directors present. For a four day trip, I would focus on East Hampton and Sag Harbor. For a short stay I would recommend investigating some of the area bed and breakfast inns. If you are willing to stay further out – consider Hyatt Place Long Island East End which is 30-40 minutes from the Hamptons. Any of the major NYC airports are within 2 – 2.5 hours from the Hamptons by car. Long Island MacArthur airport is about an hour away and may also be an option for you. Good luck! My daughter and I are planning a trip to SC to vaca w/family on 8/24 but before that we want to meet up with my daughter’s boyfriend for the weekend of 8/21 (we are coming from California and he is in College in Massachusetts) and I saw your blog about the Hamptons (we have never been) It seems as if we might have fun in East Hamptons. would you suggest a Hotel to stay (I would need 2 rooms). we want to relax, soak up sun and be able to walk for our meals and nightlife! The American Hotel in Sag Harbor, while expensive, is about 15-20 minutes from East Hampton and is close to many shops, restaurants and Havens beach. There are no hotels in East Hampton that I know of but a few B & Bs that may suit your needs. I suggest doing an internet search for Main Street in East Hampton to see your options. A budget friendly option might be Hyatt Place Long Island East End, in Riverhead. It will put you 45 minutes away from East Hampton but close to wineries and outlets on the North Fork. Thanks for the info Ann! Hi Ann, I booked a house through VRBO and now trying to figure out the best/fastest way to get my daughter’s boyfriend to East Hampton (he would need to travel in the evening, after 6pm)…would you have any suggestions….train, plane, ferry???? If he is driving, he can get the ferry from Bridgeport to Port Jefferson, Long Island, the drive to East Hampton would be about 1 hour from that point. Otherwise, he can take MetroNorth Rail from New Haven to Grand Central. From Grand Central he can take the Long Island Railroad Montauk line to East Hampton. The other option is to make a reservation on the Hampton Jitney motor coach – which he can get on at several locations on the East side of Manhattan. I believe there is a stop on 40th and 5th avenue near Grand Central. I love your blog. Last year we went to Europe for 3 weeks and I mainly used blogs to find out the ins and outs of Italy, France, & Spain. We had a tremendous trip. 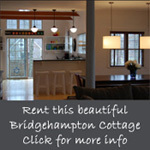 We have never been to the hamptons and we only have 5 to 6 days available at the end of August. We have a son 17 and a daughter 21. We love the water and love good food, nice hotels, and outdoor adventures. Where should we stay? I looked at Guerneys and it was booked. Do you think there will be any availability? I would suggest trying to rent a home on Airbnb or another vacation rental site. Good luck! Hi ! My husband and I are visiting our 30 year old son (who lives in Brooklyn) at the end of October and we thought we would do something different this time( We always just hang around Manhatten etc ). So, I am trying to find a part of the Hamptons that will be relatively interesting for all 3 of us . Is there a place or part of this beautiful island that we could go biking , trailing, something outdoorsy ?? Thanks so much for giving us all an inside look at this incredible place. East Hampton has lovely shops and dining. The East Hampton Trails Preservation Society can also provide you with information on local hiking and biking trips. Good luck and thanks for your comment.